Nothing's finer than Randy's Diner! 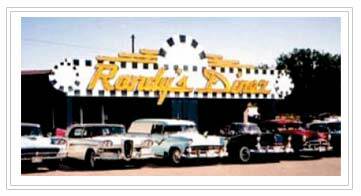 Since 1997, Randy's Diner has been serving Traverse City the finest breakfast, lunch and dinner in a relaxed, smoke-free, family atmosphere. Come in and check out our specials! Looking for a church in the Traverse City area? Need a menu faxed or e-mailed to you? Don't miss our ALL-YOU-CAN-EAT BBQ BEEF RIBS SPECIAL every 4th of July & New Year's Eve!!! 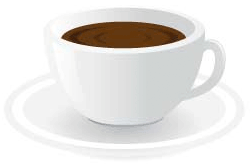 Five time winner of Best Coffee in Grand Traverse County and two time winner of Best Breakfast in Grand Traverse County G.T.I. People's Choice Awards! Home of the Jalapeno Popper Burger & Rodeo Burger! All of our Third Pound Burgers are 100% Angus Beef! GLUTEN FREE BURGER BUNS, WHITE BREAD & TORTILLA SHELLS ARE NOW AVAILABLE!!! Tuesday June 25, 2019 from 6pm to 8pm!!! Check out pictures from our previous car shows!